Bi-fold doors are by far the most versatile option in doors for your home or business. 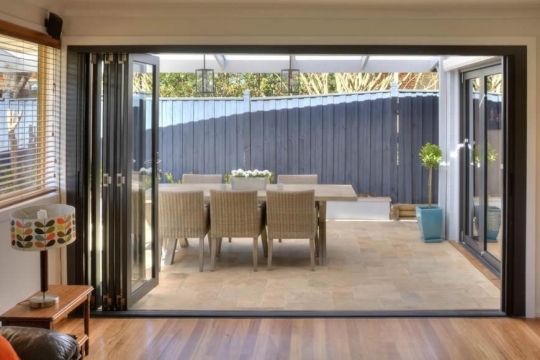 Bi-fold doors can facilitate having the best of both worlds where a large room or living space can be divided off and used as two separate areas, or opened up to allow full use of the entire area when needed. 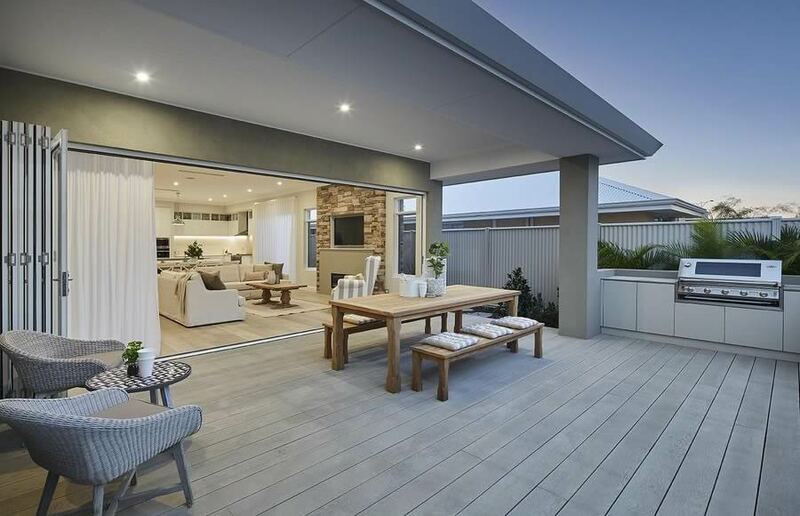 But the real beauty of Bi-fold doors exists when used to open up your room or living space to the outdoors. When fully opened, there is no interference of doors, door frames, or windows. 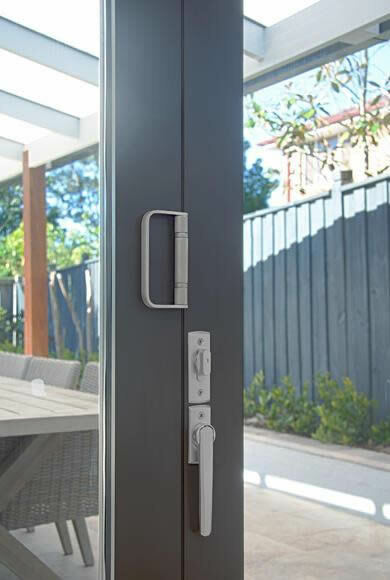 Just a seamless view and access to your outdoors – then easily closed and secured when no longer needed. 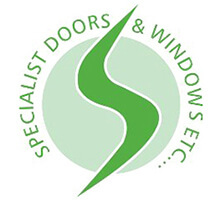 Our team of skilled carpenters are happy to come and meet with you at your home or office to assess your Bi-fold door for any maintenance or repair needs. Track rollers can wear and even break from normal wear and tear. We’ll replace them and have your Bi-folds operating as normal. House foundations and frames can move and cause door frames to be out of alignment. We can refit the Bi-fold door and have it back to operating as it should. 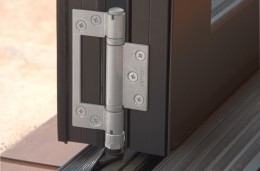 Factors affecting frames and lintels above the door, as well as general wear and tear, can all lead to latches and locks no longer working the way they should. 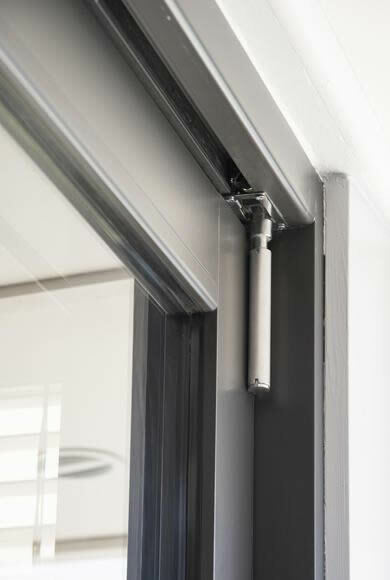 Our team carries a range of handle and lock options for Bi-fold doors which take very little time to replace. 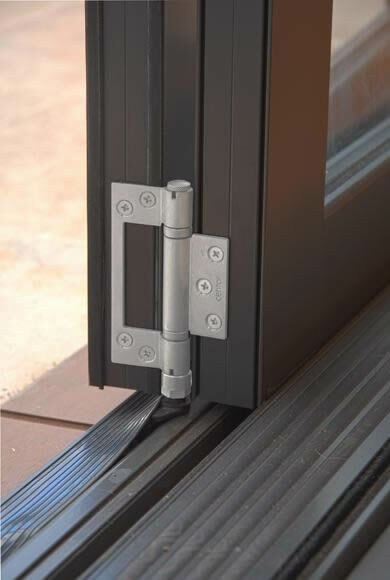 Seals can eventually wear out from use, but as with some other problems, shifting house frames can lead to miss-aligned seals. Whatever the cause, we can fit new seals, check and refit the door if necessary, and ensure it’s totally sealed from weather. 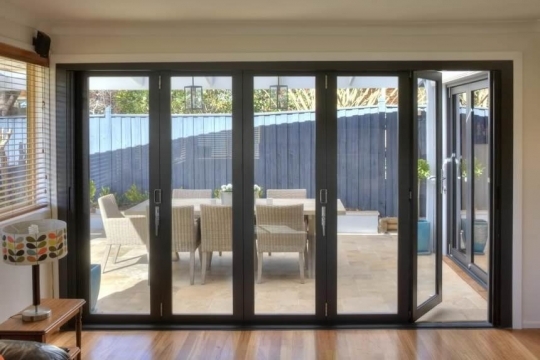 If you are finding your existing Bi-fold doors are a little dated, not as functional or easy to use as they once were, or just in need of a re-fresh, we have a wide variety of designs with both contemporary and traditional. Plus, with both wooden and aluminium options available in almost unlimited sizing we are bound to have the perfect replacement for your space. If you are looking to give your new home, existing home or room, some versatility and elegance, Bi-fold doors are a great way to go. Use the transparency of our glass option designs to keep children and pets under your supervision when needed. Easy and practical to move when entertaining and handling increased doorway usage. 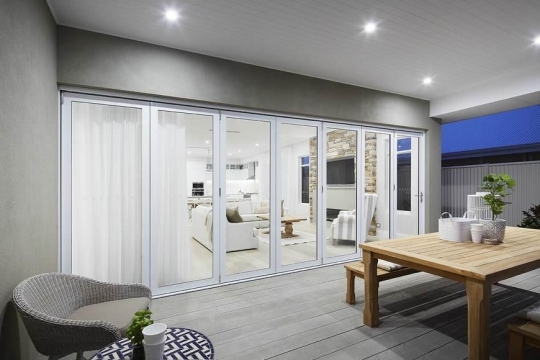 If you are looking to maximise your space without any compromise of strength, and enhance the character and usability of your home and living space, Bi-fold doors are the answer. With a vast selection of styles and materials available, our team can consult with you to select, supply and install your next bi-fold door. You will receive the benefit of over 40 years experience in servicing the Adelaide area, and over 100 years combined team experience. 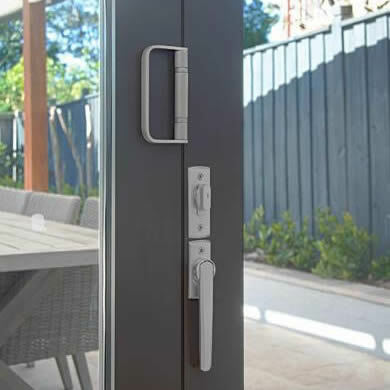 We carry an extensive range of hinges, handles and locks to match your Bi-fold doors. 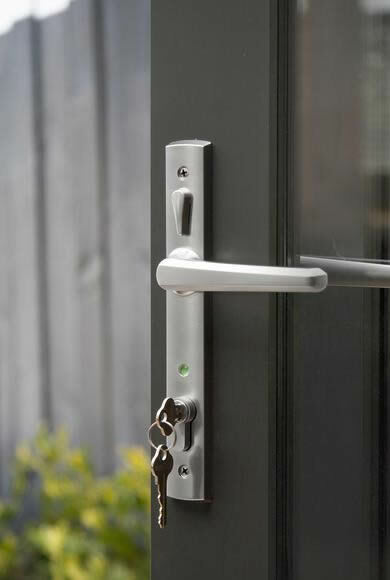 So whether you’re having your door repaired or adding a new one, we have the right hardware to compliment it.